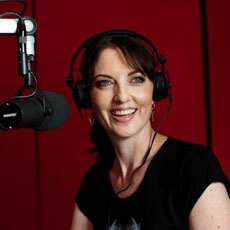 I’m a radio nerd – its my paid job and my down-time fun as well. I came to RTRFM in 2000 and now consider the station, its ethos and its people a heartland. I love ironing because it gives me time to listen to podcasts guilt free and I have five children so there’s lots of ironing – a win for everyone! Feminism to me is never forgetting the struggle for equality that has gone before us, and never overestimating what has been achieved. So far it’s good but its not enough, it’s not time to down tools and think the job is done. Every day that a woman has the courage to stand up for herself or for another woman is progress. The best bit is that we have so many great blokes onside with us now. What do you think the biggest obstacle facing women today is? The biggest obstacle is our own complacency. I might be ok as a privileged Australian woman but I should still maintain the rage for other women who are diminished, repressed and brutalized every day around the world. The theme of IWD in 2014 is Inspiring Change - tell us about one woman you think has inspired change in the world. A woman who inspires change is musician Amanda Palmer – she lives her life with courage and abandon I could only dream of, her engagement with the global community is revolutionary via twitter and he philosophy of “asking” and her lyrics are pretty pointed; as she says “We Are the Media”.